Bcb Girls Metro Perfume by Max Azria, BCB Girls Metro by Max Azria is a women’s floral fruity fragrance with citrus, musky, balsamic, and white floral accords. 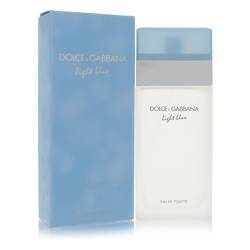 Released in 2001, it has long lasting longevity and moderate to heavy sillage for day wear during the spring and summer seasons. The perfume starts with a bold head note of Japanese yuzu, which leads to a blend of notes at the heart that includes jasmine, gardenia, magnolia, and magnolia leaf, along with apricot, black currant and Read More Read More lily-of-the-valley. At the base are sandalwood, musk, and labdanum notes. The flacon has straight, clean lines and a simple design. Born in Tunisia and raised in France, Max Azria is a fashion designer who relocated to the United States in 1981 and established BCBG Max Azria in 1989. “BCBG” is an acronym for a French saying, “Bon chic, bon genre.” The first fragrance was released in 2001, and American cosmetics company Elizabeth Arden acquired the brand’s fragrance license in 2012. In 2016, Azria left the company, which is now owned by Global Brands Group. All products are original, authentic name brands. We do not sell knockoffs or imitations.